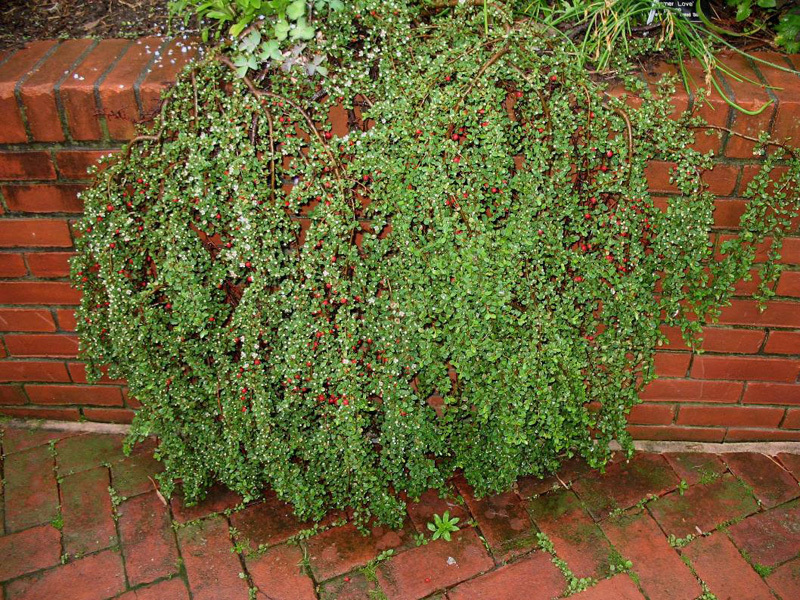 Comments: One of the easiest cotoneasters to grow and its prostrate growth habit makes it an excellent ground cover. In addition, it is drought tolerant and the red fruit is eaten by birds. May be semi-evergreen in the upper limits of its range and its leaves turn purplish-red when grown where the winters are very cold.